Here are downloadable jpg and Photoshop versions of the Society’s logo. Students in particular should use them in presentations and posters when funded by the Society. 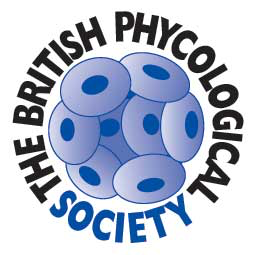 The logo (left) includes a diagrammatic representation of a coccolithophorid such as Emiliania huxleyi. 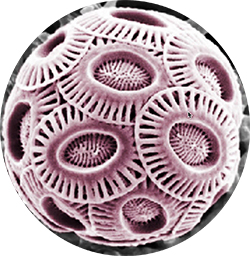 The two right-hand images show scanning electron microcopic images of this species. 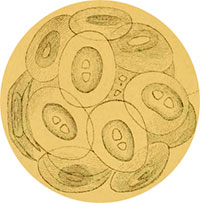 The second image from the left is a coccolithophorid from a plate in a publication* by Thomas Henry Huxley (1825-1895, known as “Darwin’s Bulldog”) showing a very early picture of a coccolithophorid from the North Atlantic. * Huxley, T.H. (1868). On some organisms living at great depths in the North Atlantic Ocean. 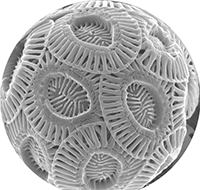 Quarterly Journal of Microscopial Science, New Series 8: 203-212, pl. IV.